Nokia 8 Sirocco, Nokia 7 Plus & Nokia 6 (2018) Launched In India! Nokia, in its resurrection under HMD Global has adopted Android and it seems to be working for them. HMD Global hosted a launch event today where they launched three new smartphones. The highly anticipated Nokia 8 Sirocco has made its debut in India along with the Nokia 7 Plus and the Nokia 6 2018 version. With these three releases, Nokia has strengthened their smartphone lineup in India. The Nokia 8 Sirocco was especially anticipated in India. In their heyday, brand Nokia had a cult-like following of utterly loyal fans who stuck with the brand. But that dwindled away as Nokia refused to step into the future and preferred to rest on its past laurels. By today’s standards, the Nokia 8 Sirocco is a compact smartphone. It is also one of those rare smartphones with flagship specifications and a manageable size that can be easily operated with one hand. Though its processor is a generation older than the latest flagships, it is by no means a slouch. Rest of the specifications are on-par with the best ones available today. Qualcomm MSM8998 Snapdragon 835 Octa-core Chipset with Adreno 540 GPU. 5.5-inch pOLED Quad HD Display; 1440 x 2560 Pixels, 534 PPI; 81.1% Screen-to-Body Ratio; Always-On Display. Primary Cameras: Dual 12 MP (f/1.75, 1.4 µm, OIS) + 13 MP (f/2.6, 1.0 µm), dual pixel PDAF, 2x optical zoom, Carl Zeiss optics, dual-LED dual-tone flash; [email protected], [email protected] Videos. Selfie Camera: 5 MP (f/2.0, 1.4 µm); 1080p Videos. 4G VoLTE; Wi-Fi 802.11 a/b/g/n/ac, dual-band; NFC; Bluetooth 5.0 LE; A-GPS, GLONASS, BDS; USB 3.1 Type-C 1.0 Reversible Connector; No 3.5mm Headphone Jack. 3,260mAh Li-ion battery; QuickCharge 4.0; Qi Wireless Charging Support. Nokia OZO Audio with 3 Mics; Active Noise Cancellation with Dedicated Mic; 24-bit/192kHz Audio Output. The 3D curved display retains the “old” 16:9 aspect ratio and is protected by Corning’s Gorilla Glass 5. The steel frame wrapped around the phone gives it strength and a reassuring heft. Zeiss optics are one of Nokia’s USPs. These, coupled with Nokia’s camera software make for a good shooting experience. The Nokia 8 Sirocco will be up for pre-booking at a price of Rs 49,999/- from April 20, 2018 on Flipkart and from Nokia Phones shops. 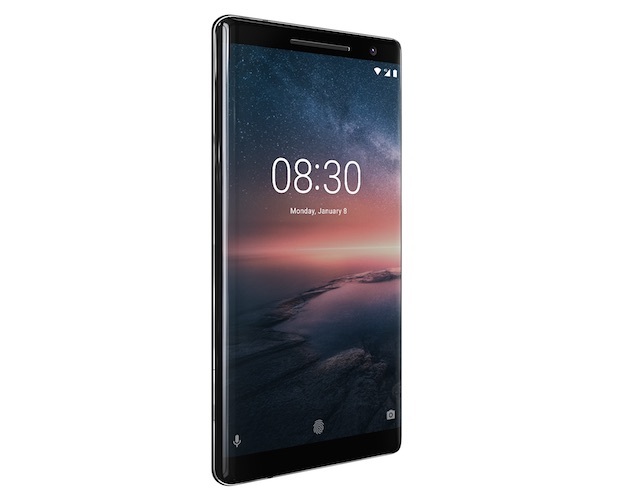 There will be following offers on the Nokia 8 Sirocco. Airtel prepaid customers will get 20GB additional data on each of the first 6 recharges worth Rs 199/- or Rs 349/-. Airtel postpaid customers will get 20Gb additional data per month, for 6 months with the Rs 399/- or Rs 499/- plans. All airtel customers will get an extended free subscription to the Airtel TV app till December 31, 2018. ICICI Bank is offering a 5% cashback on the purchase of the Nokia 8 Sirocco made until May 31, 2018 using their credit or debit card. MakeMyTrip is offering a 25% instant discount on domestic hotels booked through the app. The smartphone will be available with zreo-cost EMIs on credit cards and through Bajaj Finserv and Home Credit. Nokia is calling the Nokia 7 Plus ‘The Flagship Hero For Everyone’. It is a midrange smartphone with a big 6-inch display and a powerful 3,800mAh battery. It has minimal bezels all around and it sports the modern 18:9 aspect ratio. With a processor that is balanced for performance and battery life, the Nokia 7 could indeed be a hero for those looking for an everyday smartphone with a long battery life. Qualcomm SDM660 Snapdragon 660 Octa-core Chipset with Adreno 512 GPU. 6-inch IPS LCD Full HD+ Display; 1080 x 2160 Pixels, 403 PPI; 77.2% Screen-to-Body Ratio. Primary Cameras: Dual 12 MP (f/1.75, 1.4 µm) + 13 MP (f/2.6, 1.0 µm), gyro EIS, dual pixel PDAF, 2x optical zoom, Carl Zeiss optics, dual-LED dual-tone flash; [email protected], [email protected] Videos. Selfie Camera: 16 MP (f/2.0, 1.0 µm); 1080p Videos. 4G VoLTE; Wi-Fi 802.11 a/b/g/n/ac, dual-band; NFC; Bluetooth 5.0 LE; A-GPS, GLONASS, BDS; USB 2.0 Type-C 1.0 Reversible Connector; 3.5mm Headphone Jack. 3,800mAh Li-ion battery; Fast Charging. Nokia OZO Audio with 3 Mics; Active Noise Cancellation with Dedicated Mic. The display features the new 18:9 aspect ratio and is protected by Corning Gorilla Glass 3. The 6000-series Aluminium frame has copper edges for extra protection and style. The Nokia 7 Plus will be available for pre-booking at a price of Rs 25,999/- from April 20, 2018 on Amazon India and from Nokia Phones shops. There will be following offers on the Nokia 7 Plus. All Airtel customers will get a cashback of Rs 2,000/- bringing down the effective price of the Nokia 7 Plus to Rs 23,999/- as a part of Airtel’s ‘Mera Pehla Smartphone’ initiative. MakeMyTrip is offering a 25% instant discount to all Nokia 7 Plus buyers on domestic hotels booked through the app. All Nokia 7 Plus buyers will also be eligible for a complimentary 12-month Accidental Damage Insurance by Servify on opening the Kotak 811 savings account and activating it. ICICI Bank is offering a 5% cashback on the purchase of the Nokia 7 Plus made until May 31, 2018 using their credit or debit card. 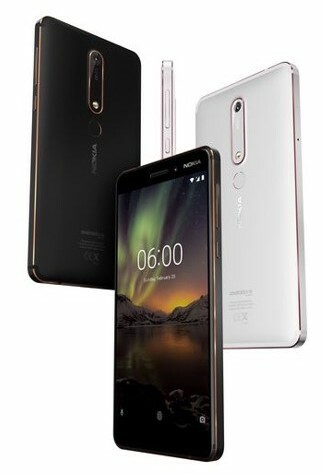 The Nokia 6 (2018) is the younger brother to the Nokia 7 Plus. It is a lower-midrange smartphone that could give the current leaders a run for their money. Sporting a typical sturdy Nokia build, The Nokai 6 (2018) is said to be over 60% faster than its predecessor. It manages to pack in a 5.5-inch display in a compact aluminium body. With a Snapdragon 630 processor, it is expected to deliver a consistent performance with a day-long battery life. Qualcomm SDM630 Snapdragon 630 Octa-core Chipset with Adreno 508 GPU. 5.5-inch IPS LCD Full HD Display; 1080 x 1920 Pixels, 403 PPI; 73.2% Screen-to-Body Ratio. Primary Camera: 16 MP (f/2.0, 1.0 µm), PDAF, Carl Zeiss optics, dual-LED dual-tone flash; [email protected] Videos. Selfie Camera: 8 MP (f/2.0, 1.12 µm); 1080p Videos. 4G VoLTE; Wi-Fi 802.11 a/b/g/n/ac; NFC; Bluetooth 5.0 LE; A-GPS, GLONASS, BDS; USB 2.0 Type-C 1.0 Reversible Connector; 3.5mm Headphone Jack. 3,000mAh Li-ion battery; Fast Charging. Nokia OZO Audio with 2 Mics; Active Noise Cancellation with Dedicated Mic. The 2.5D curved 5.5-inch display is protected by Corning Gorilla Glass 3. The 6000-series Aluminium frame has a two-tone finish. The Nokia 6 (2018) will be available for sale at a price of Rs 16,999/- from April 6, 2018 from Nokia Phones shops and leading electronic stores across the country. There will be following offers on the Nokia 6 (2018). All Airtel customers will get a cashback of Rs 2,000/- bringing down the effective price of the Nokia 6 (2018) to Rs 14,999/- as a part of Airtel’s ‘Mera Pehla Smartphone’ initiative. MakeMyTrip is offering a 25% instant discount to all Nokia 6 (2018) buyers on domestic hotels booked through the app. All Nokia 6 (2018) buyers will also be eligible for a complimentary 12-month Accidental Damage Insurance by Servify on opening the Kotak 811 savings account and activating it. 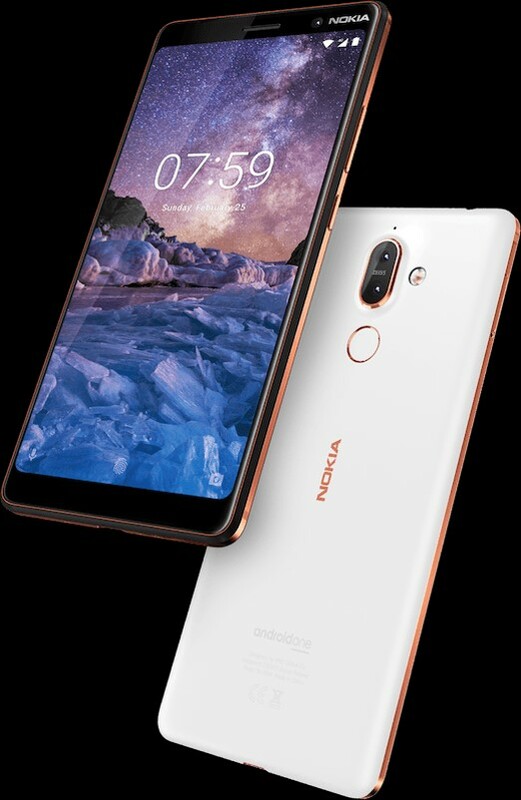 ICICI Bank is offering a 5% cashback on the purchase of the Nokia 6 (2018) made until May 31, 2018 using their credit or debit card. "Nokia 8 Sirocco, Nokia 7 Plus & Nokia 6 (2018) Launched In India! ", 5 out of 5 based on 2 ratings.